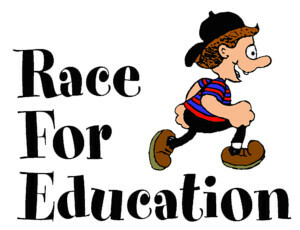 The Race for Education is an annual fundraiser for SPSL. In the spring, students write a letter to prospective donors asking for their support in our run/jog/walkathon. Funds raised from the Race for Education support our continued tradition of academic excellence and help with the educational needs of our school. Click here to read more about this fundraiser. Students write letters to prospective donors at school. Parents are invited to volunteer on Race day.